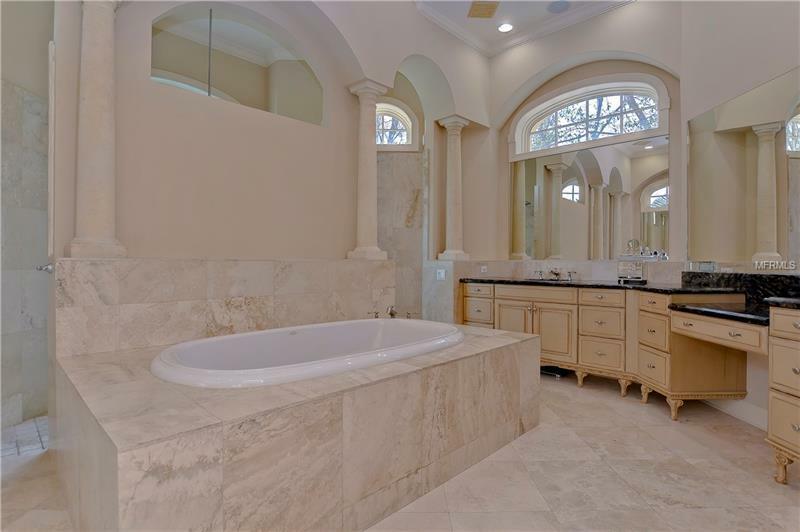 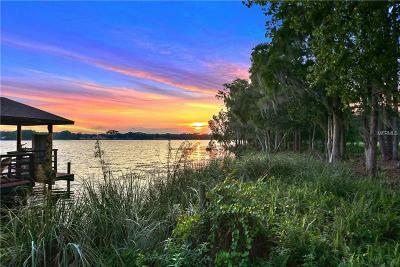 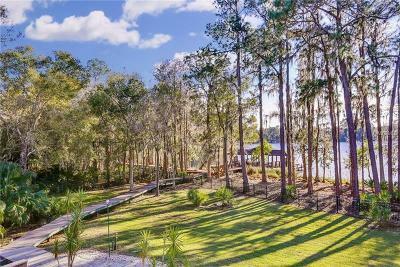 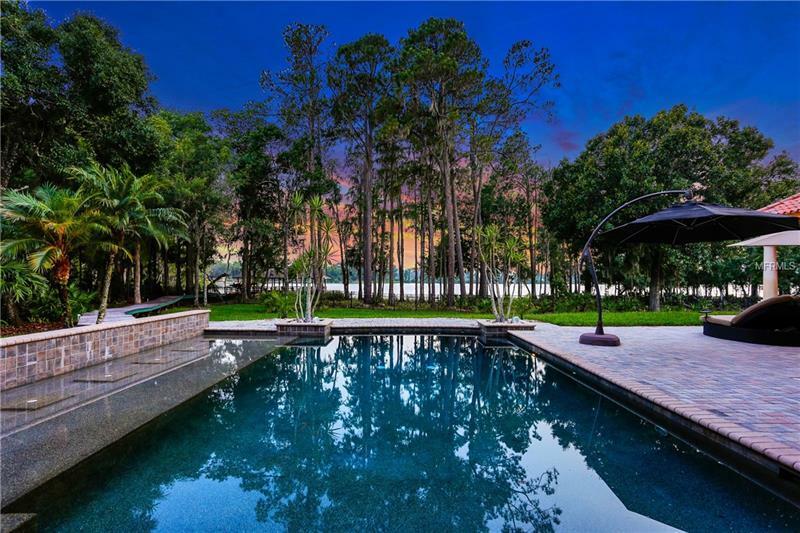 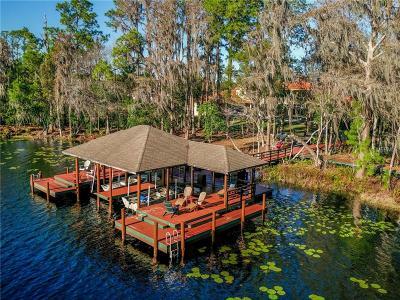 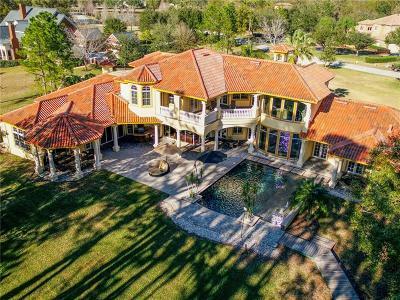 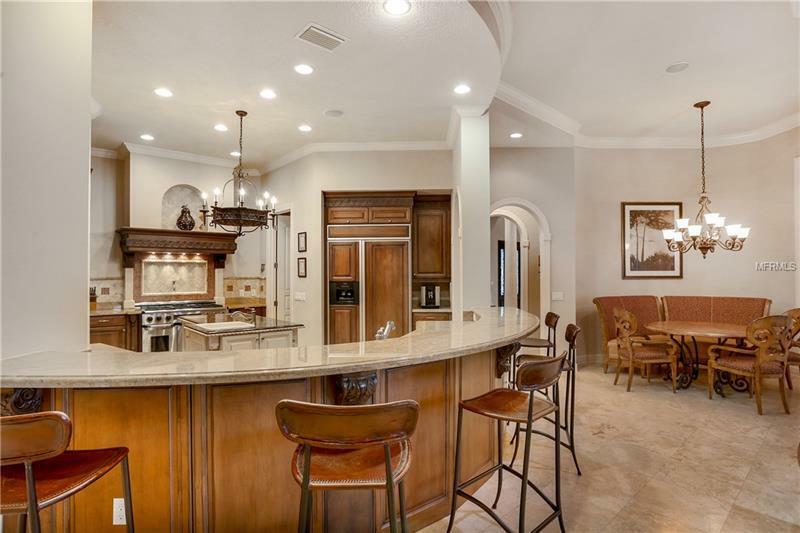 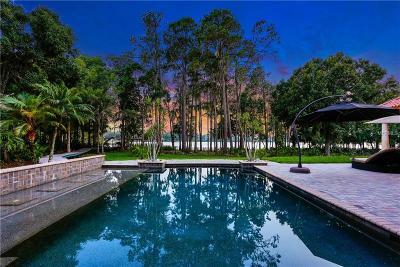 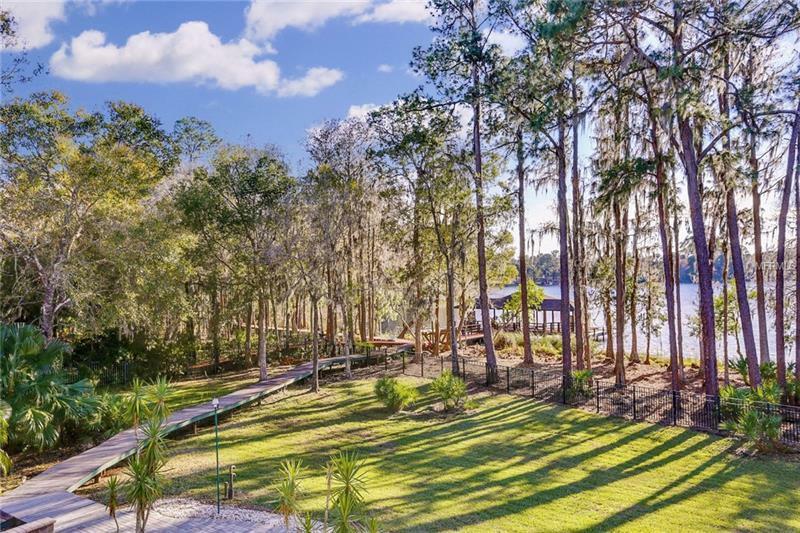 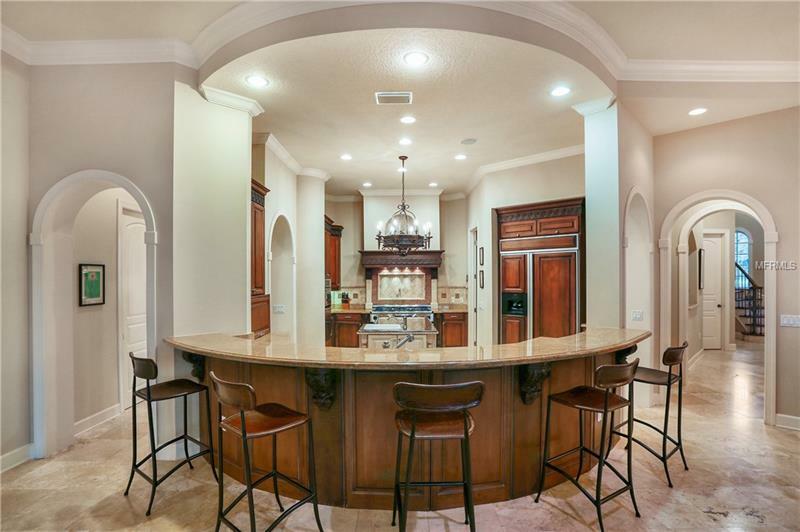 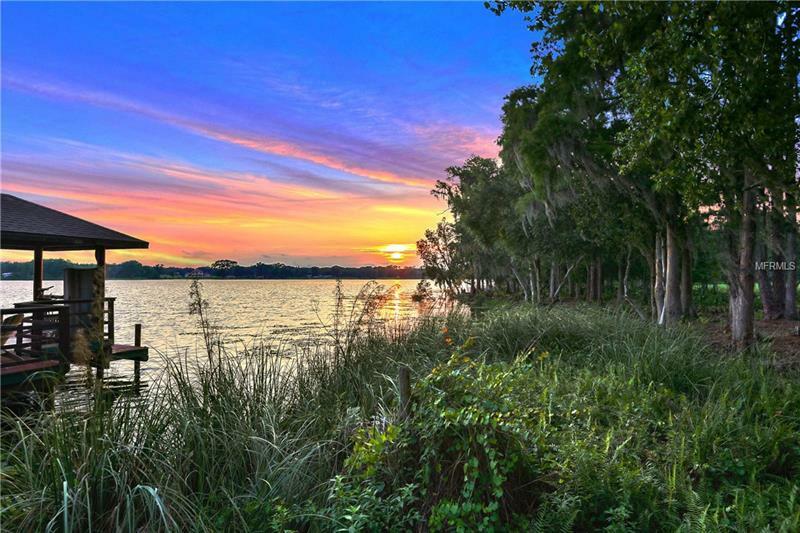 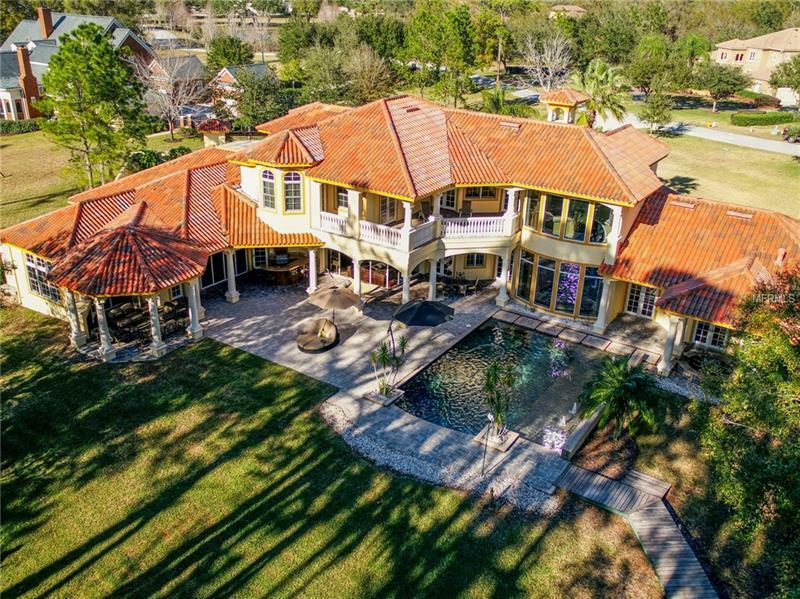 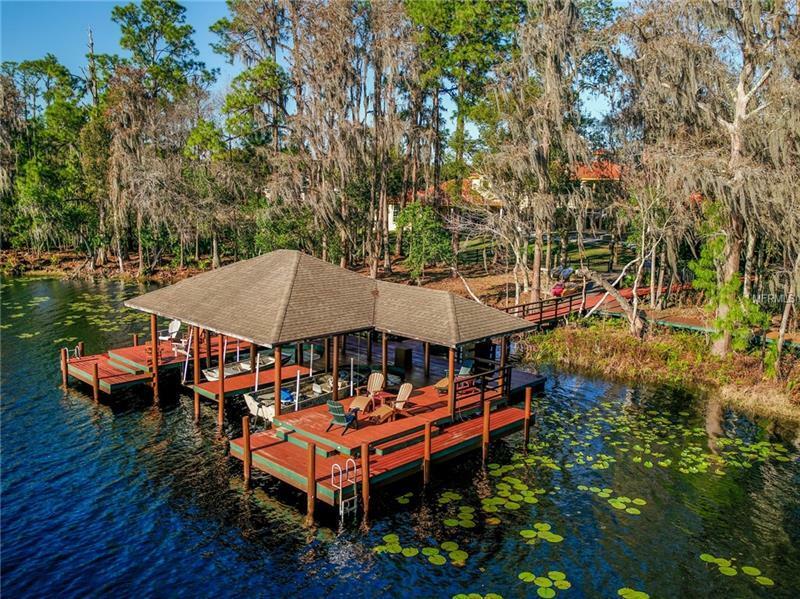 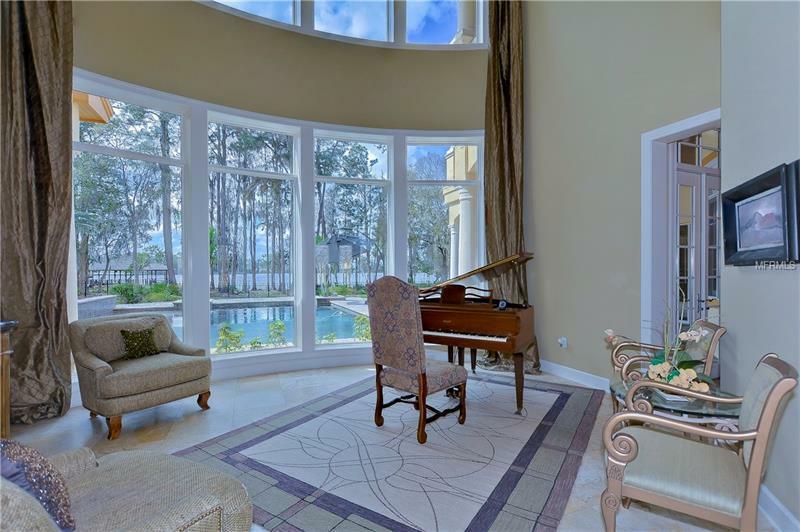 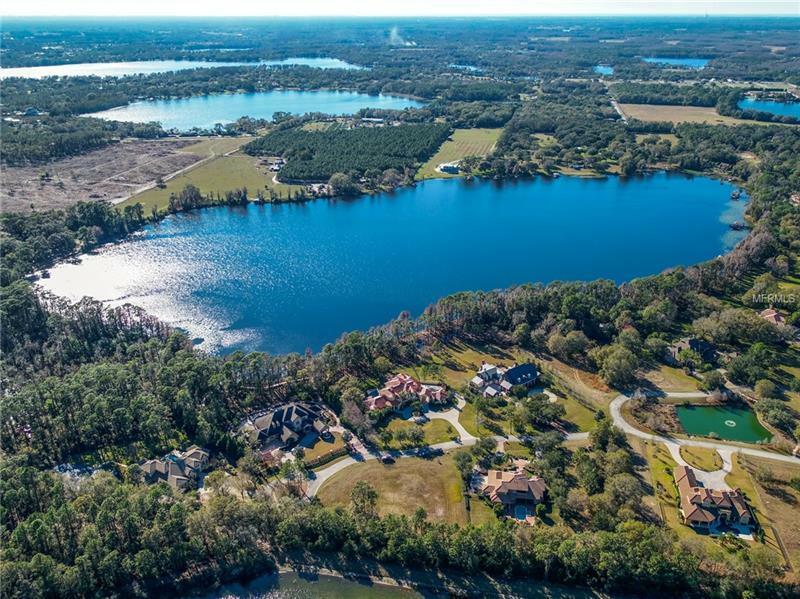 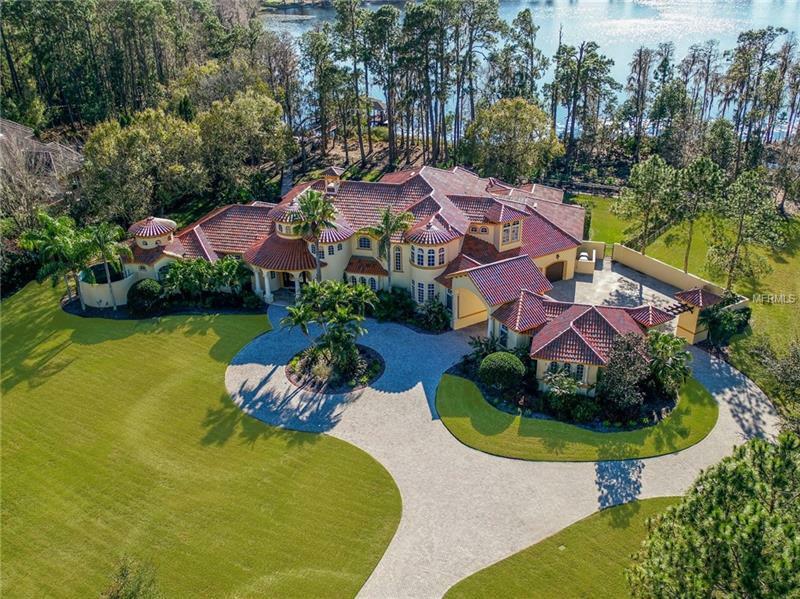 This stunning, lakefront Mediterranean home is situated on 2.21 acres and includes all of the quality workmanship and bells and whistles you would expect to find in a custom luxury home. 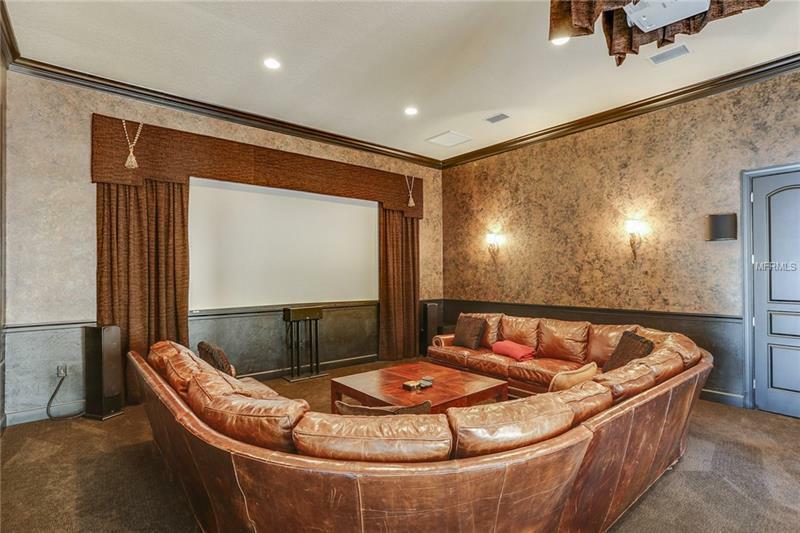 The main house features 5 bedrooms, 5 full and 2 half baths, formal living and dining, gourmet-style kitchen with breakfast nook and walk-in pantry, a butlerâs pantry with wine cellar, study, family room, home theater, gym, planning office, and laundry room. 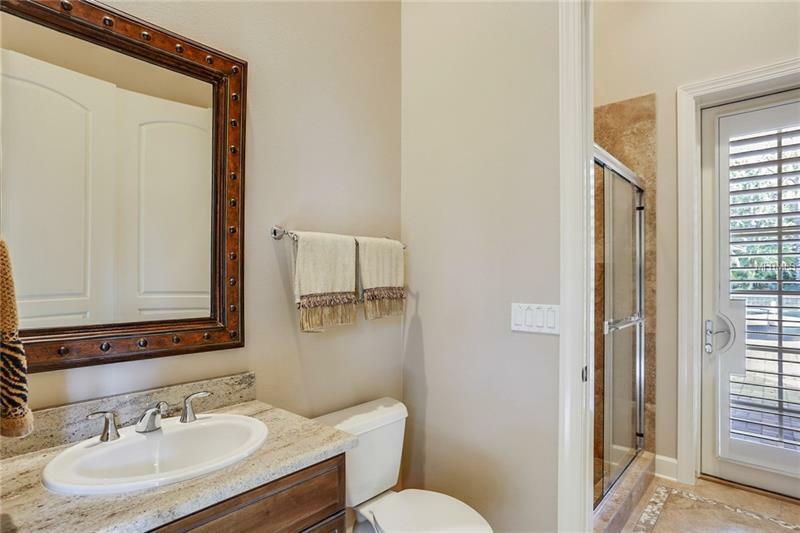 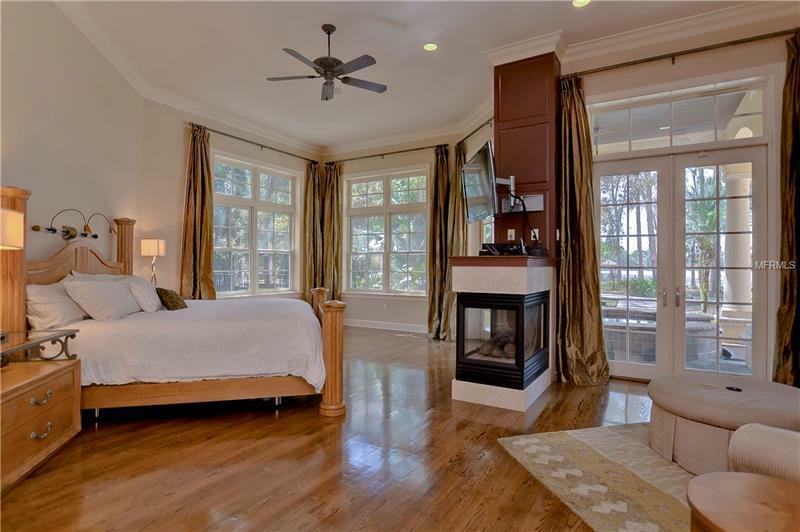 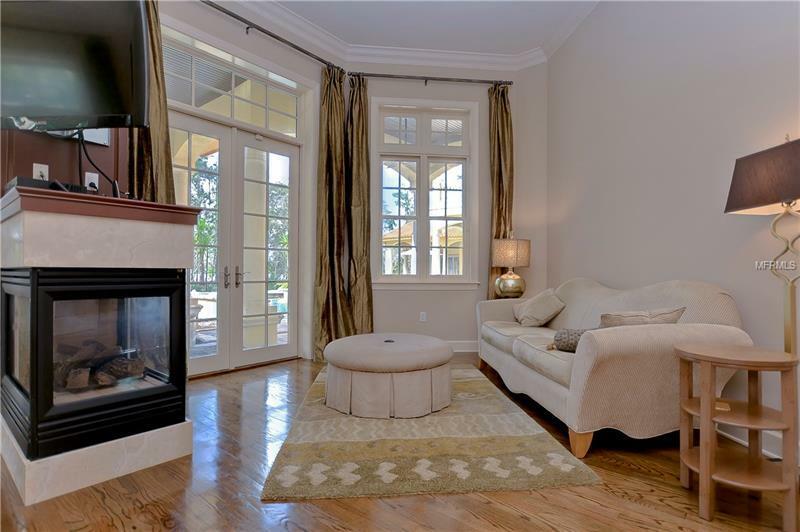 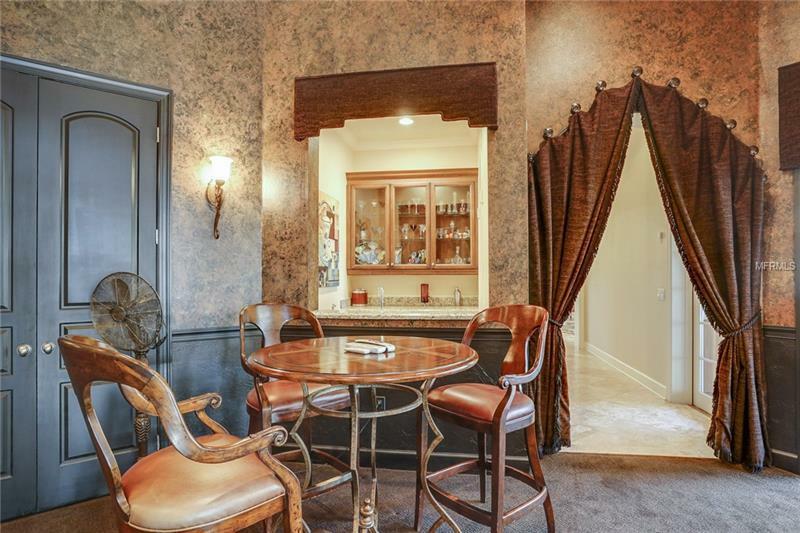 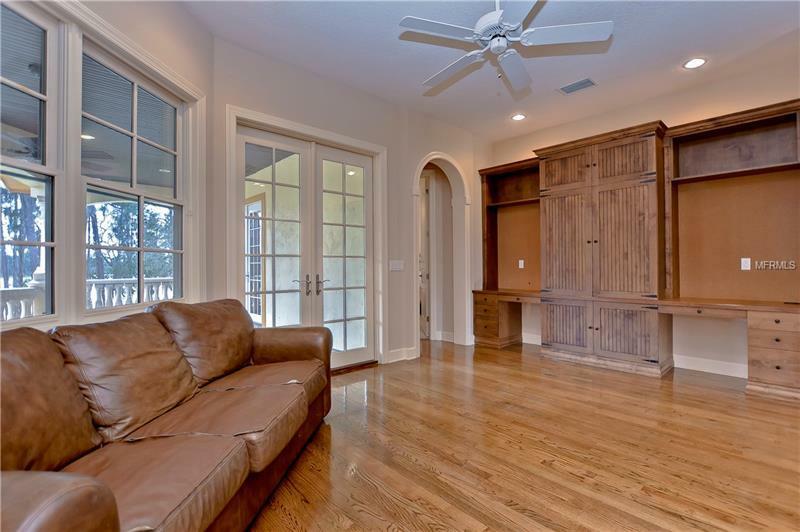 A private, downstairs master retreat offers a sitting area, gas fireplace, French door access to the outside spa, two custom walk-in closets, and a luxurious master bath with jetted garden tub, walk-through shower, double vanities, and private water closet with toilet and bidet. 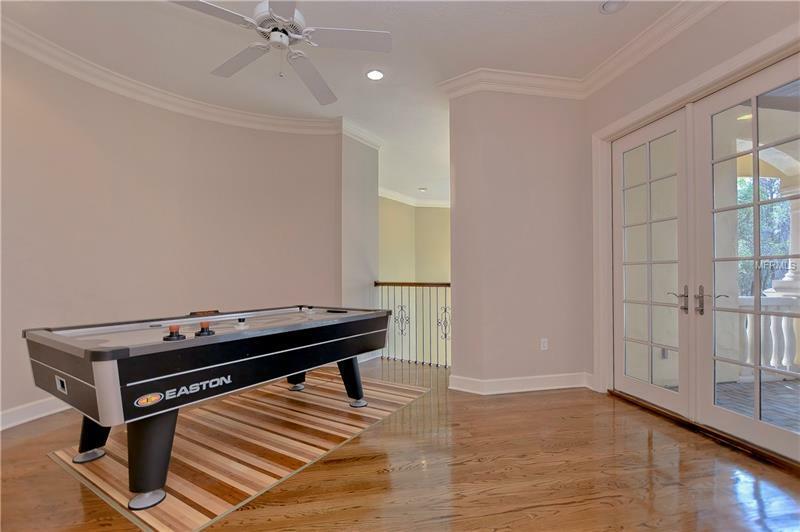 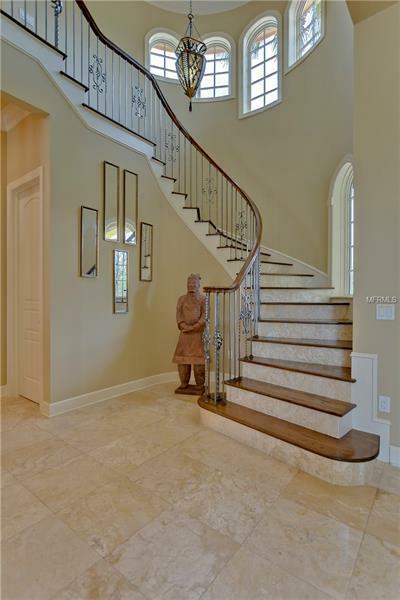 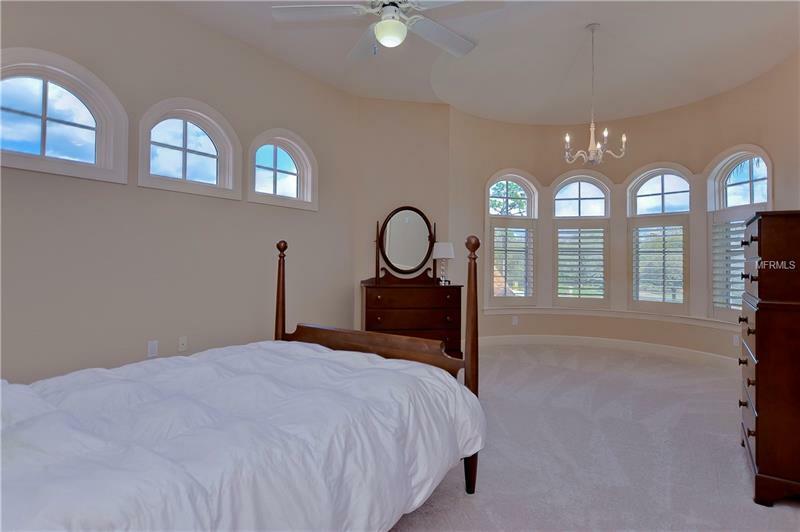 A curved stairway leads upstairs where you will find 4 bedrooms, 3 full baths, a bonus room with built-in homework center, game room, and a large covered balcony. The incredible outdoor living area has a breathtaking view of beautiful Mound Lake and is perfect for entertaining or just relaxing with its brick pavered decking, three covered sitting areas â one with gas fireplace, and heated salt water pool with water features and spillover spa. 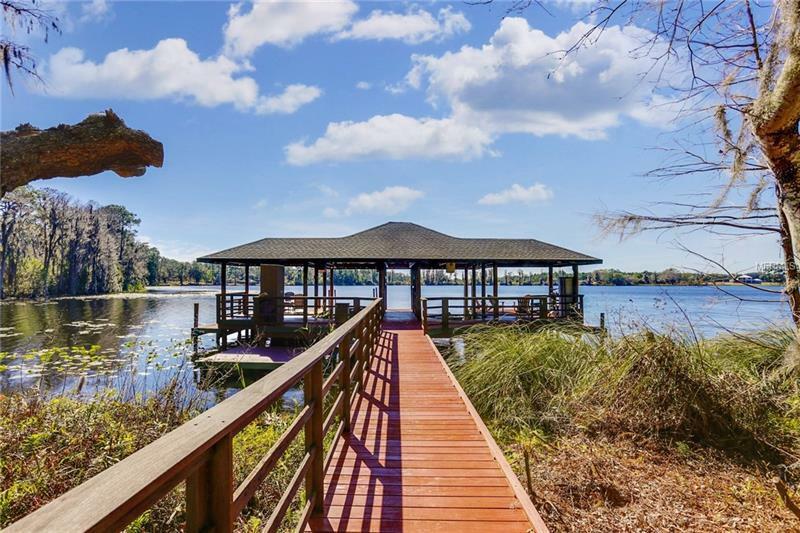 A raised and lighted boardwalk leads down to the dock and covered boat pavilion. 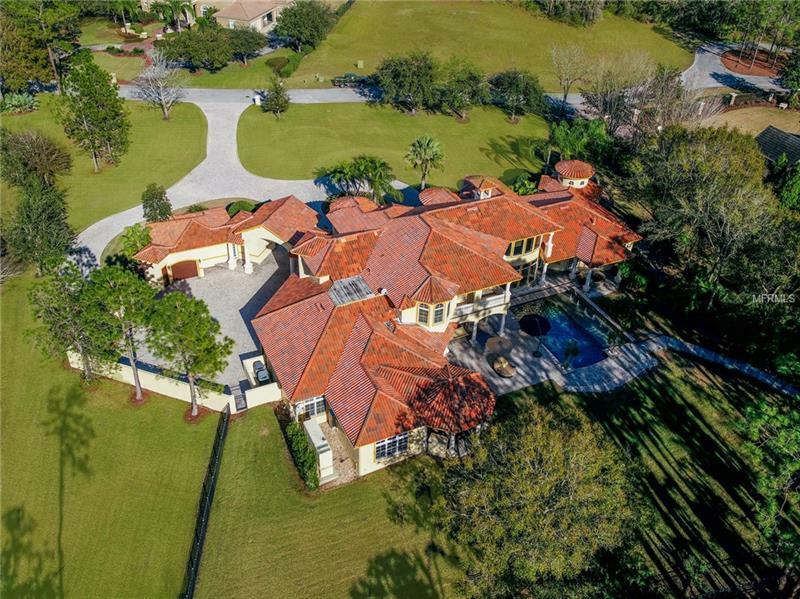 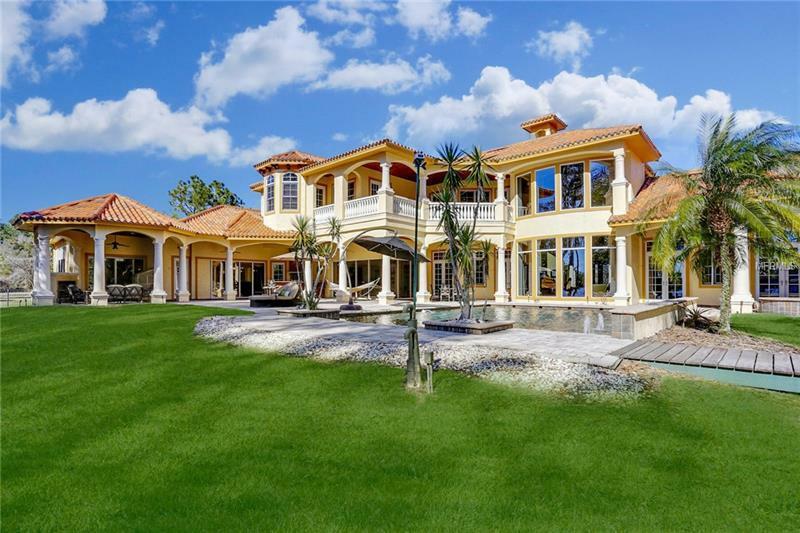 The extended pavered driveway winds through a porte cochere that opens into a large motorcourt with a 3-car garage, 1-car garage, and a private guest house with full bath. 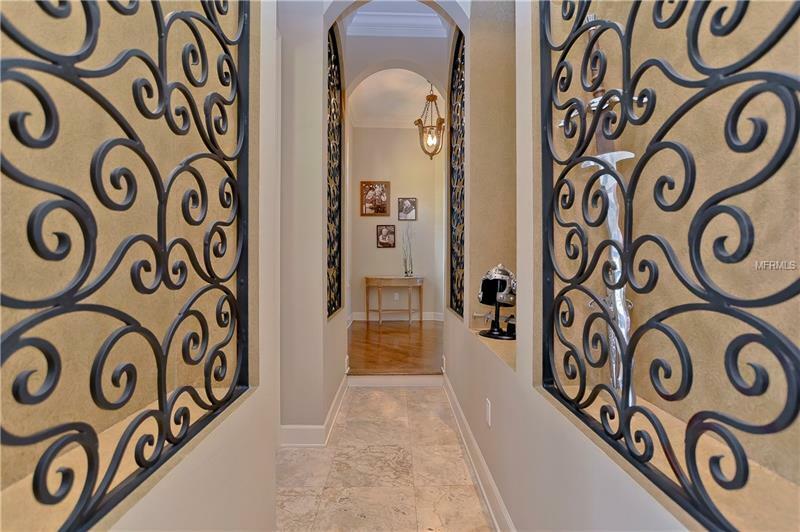 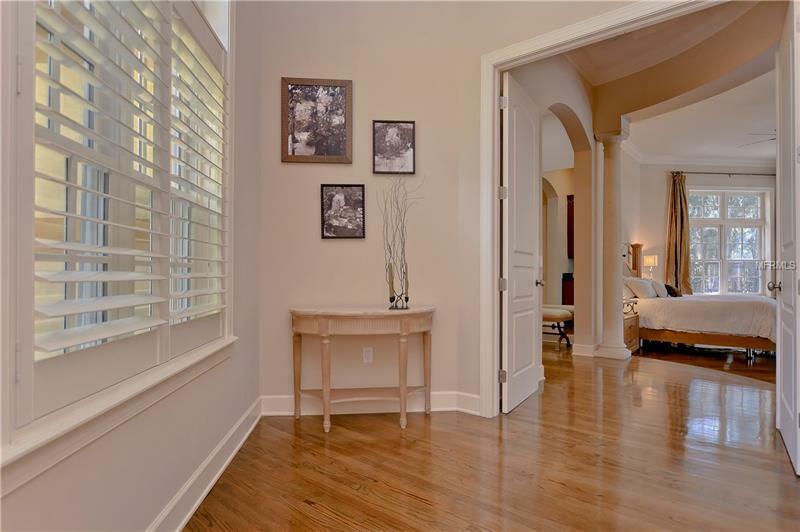 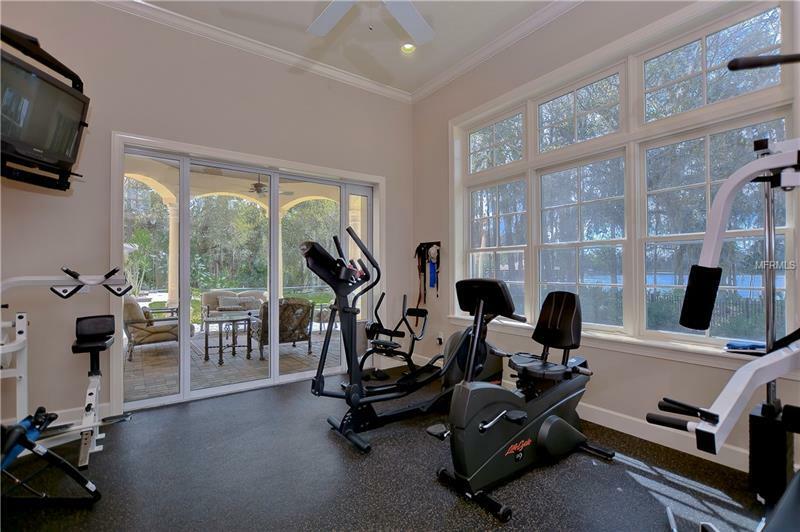 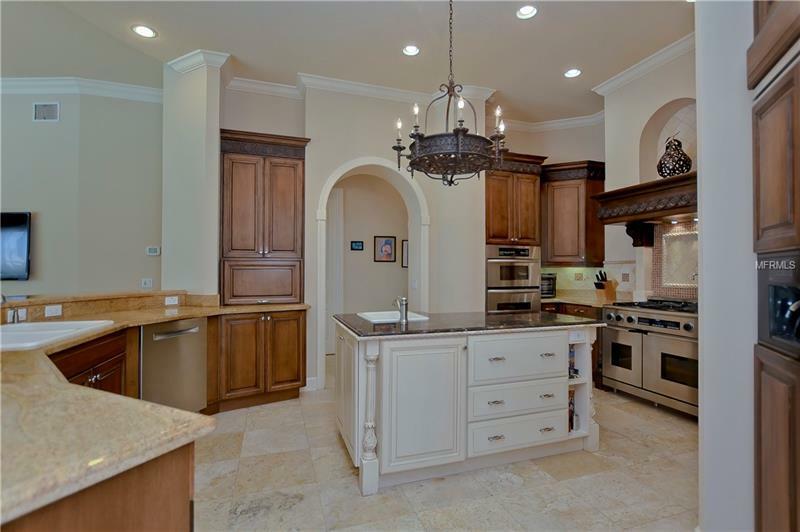 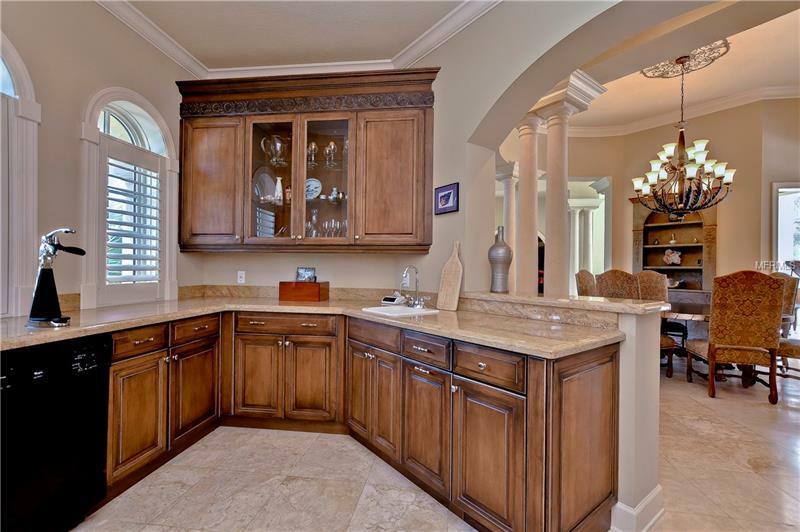 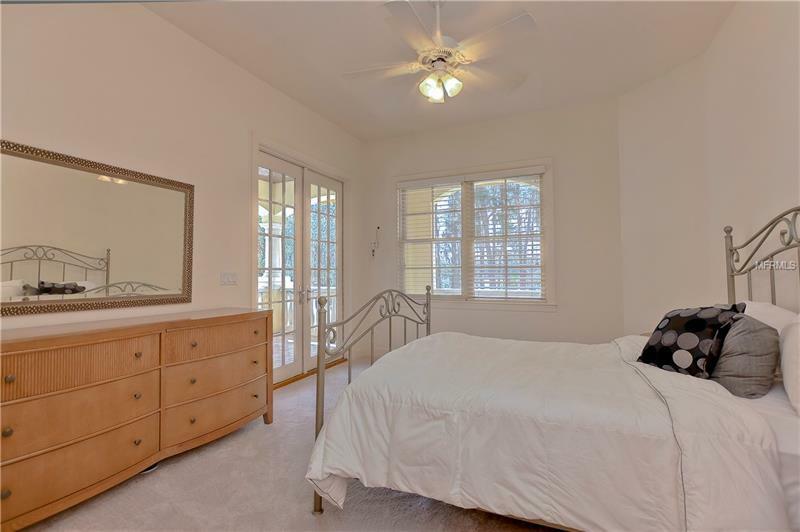 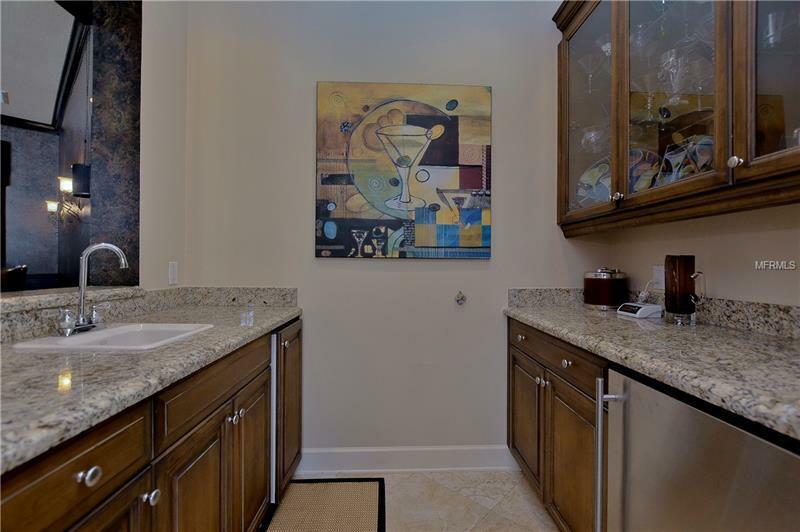 You must see this magnificent home to appreciate all of its upgrades and additional features.